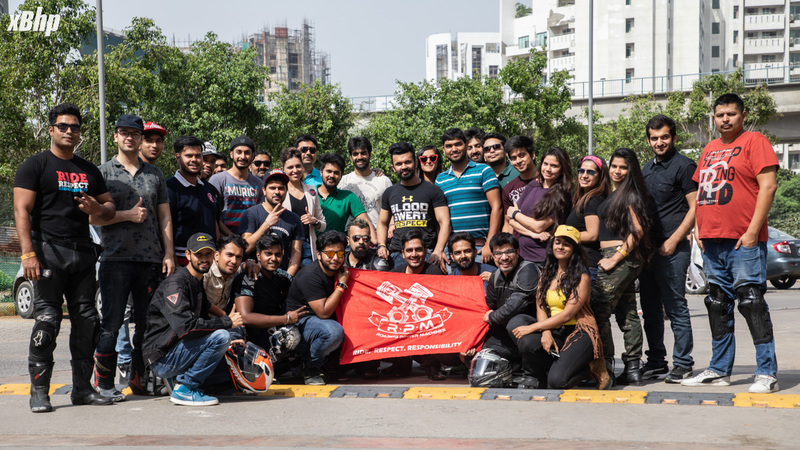 After the Track Furiez event at the Buddh International Circuit, another Sunday i.e. 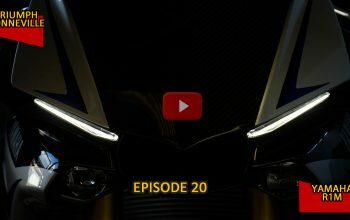 20th May saw itself being dedicated to women riders of India. 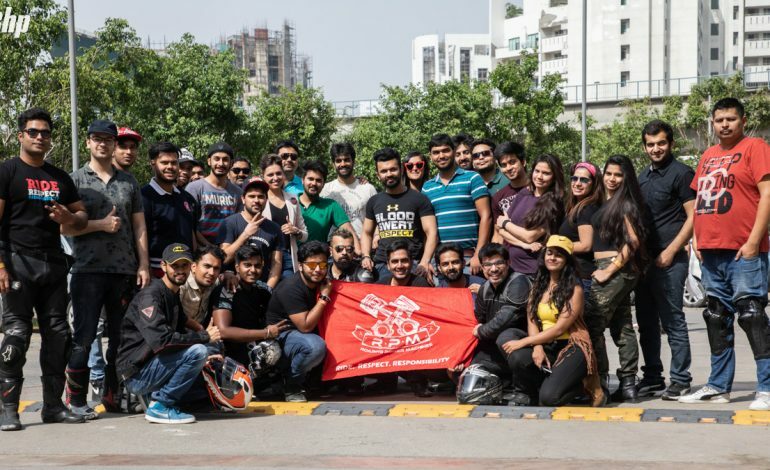 RPM India organized an event which was called ‘Ghoorna Band Kar’. 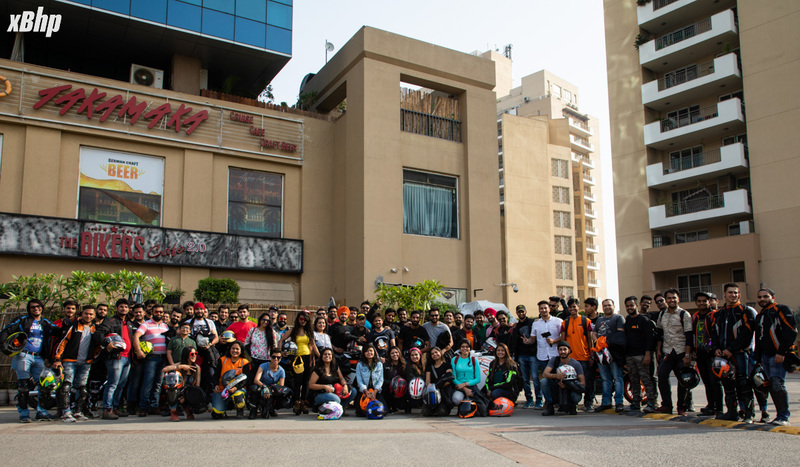 The name of the event resonates with almost all the women of India and even more so with the women who ride motorcycles – the stares and the glares that they get wherever they go. 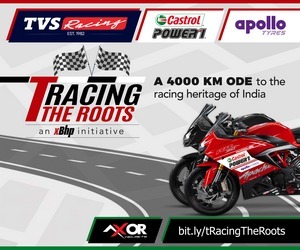 The RPM India community decided that the sanest way to go about fixing this issue is to object and that too in a way that won’t lead to altercations, is a sticker. A 2 x 2 sticker that says ‘Ghoorna Band Kar’. Translated it reads, ‘stop staring’! 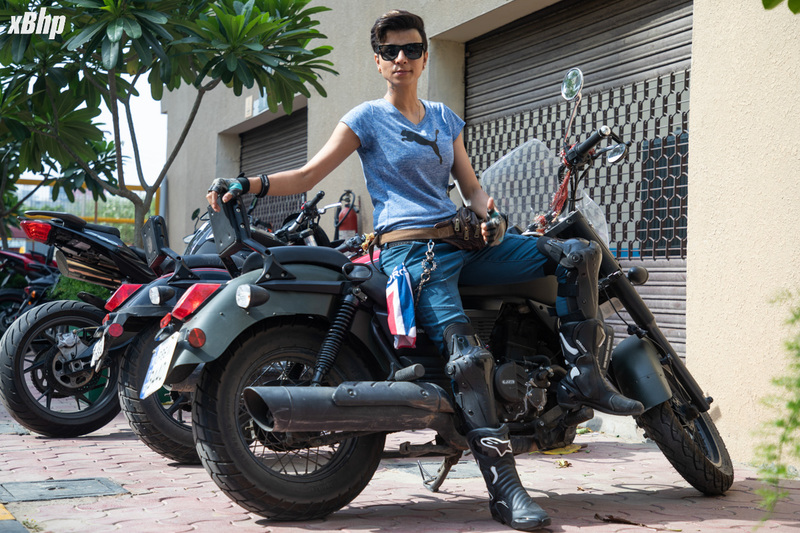 A lot of women riders took part in the event and we spoke to a few of them about their motorcycling journeys. 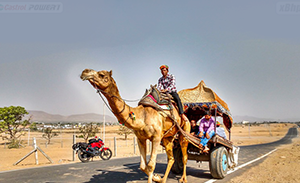 Iyishaa Jubbal works for a travel company and consequently is passionate about travelling. She told us that she’s been driving for quite some time and got into riding recently. 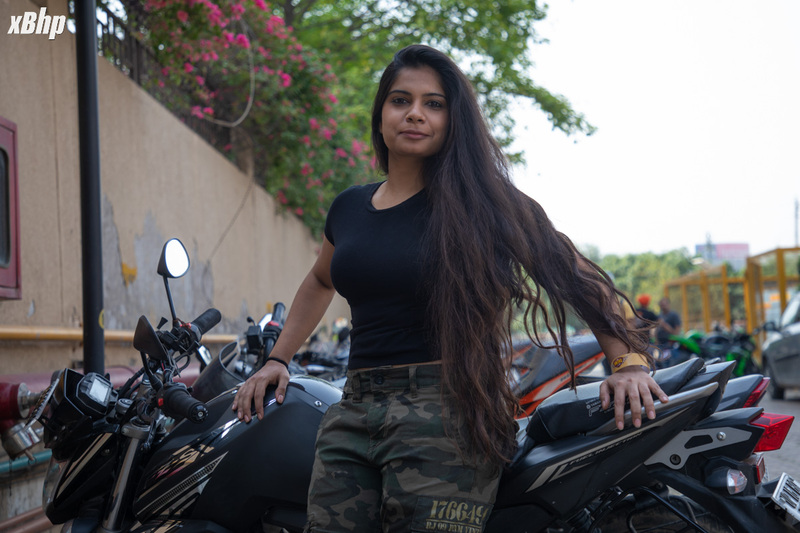 We asked her about this transition and she said, “That was my passion forever but initially I used to ride with my brother on a Yamaha and I was like I could do that but then I got stuck with the corporate world, got stuck with work. 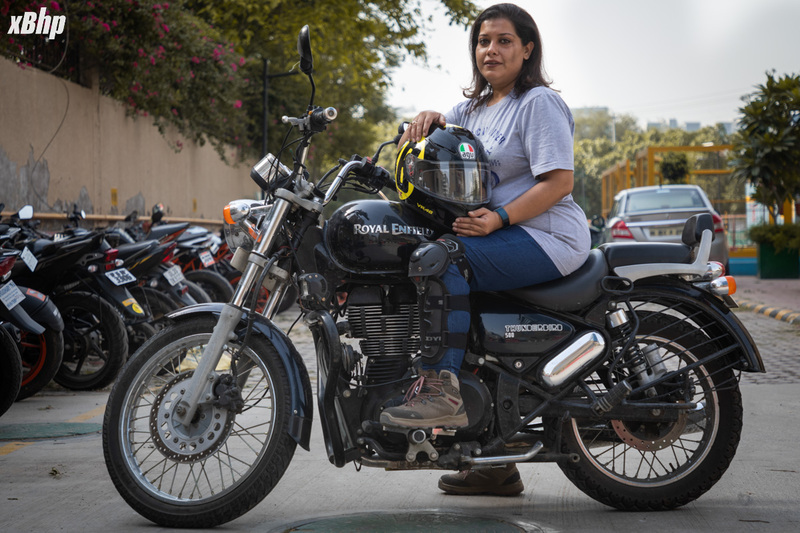 But it’s like when the time is right it just comes to you so I just went ahead, got the bike and then got on the road.” She owns a Royal Enfield Thunderbird 500 and that’s the motorcycle of choice for her rides. 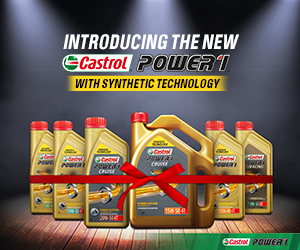 “The bottom-line will be, start riding if you are not riding, and wear your safety gears. Go ahead and ride and if you want to be a part of a group like us, you will get a lot of support from there. 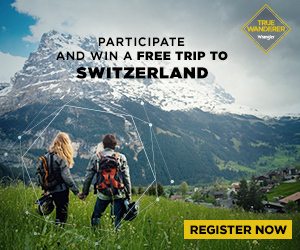 We are looking forward for new riders to join us. Go ahead and do it! If you want to ride, don’t stop, don’t wait. In life, whatever you want to do, just do it!” she added. 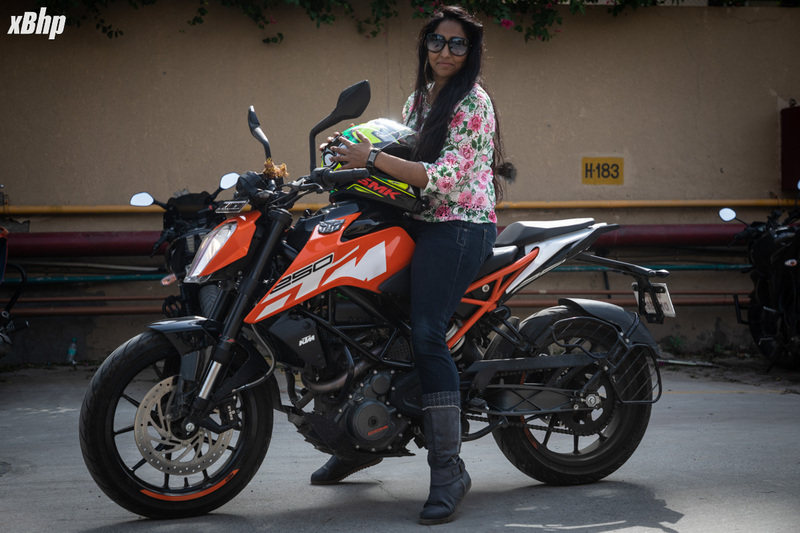 She owns a KTM RC 390, a Dominar and a Splendor which is quite a diverse repertoire if you ask us. 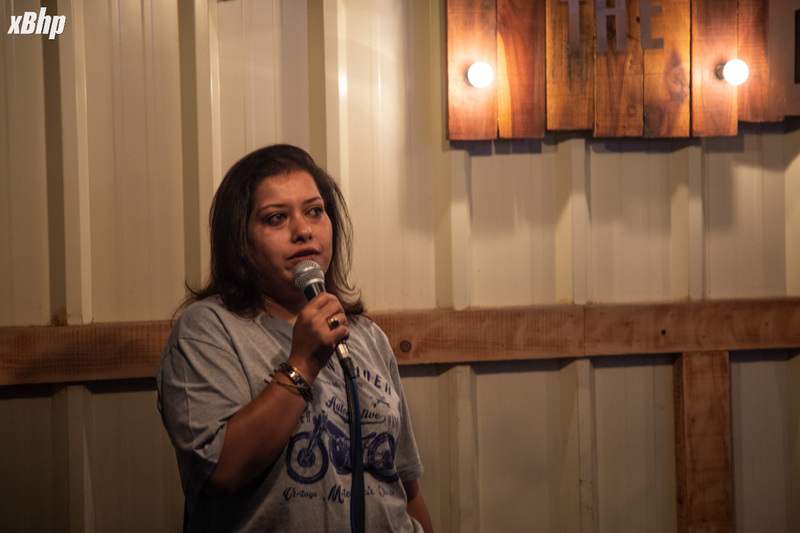 The longest ride that she has been a part of was the Harley Ride where she rode the Street 750 from Red Fort Harley showroom to the Highway King. “Keep riding and be safe. 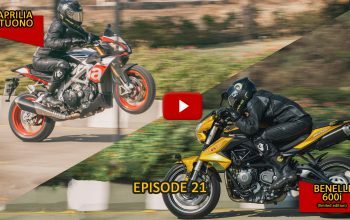 Don’t be overconfident while riding because you never know what might happen. Whenever you are going on a ride, you should let someone know about your whereabouts. Because anything could happen at any time, so at least there will be someone to help you. Keep riding and always wear your riding gears.” she added. 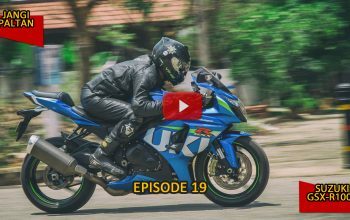 She told us that her experience as a motorcyclist has been amazing. She used to ride solo before and never thought she’d be a part of a group. She joined WIMA as soon as she found out about it. She was also awarded as the most distinguished lady at the DJR Ride, within just 3 months of riding. 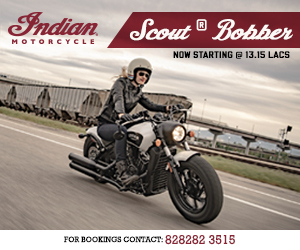 She is planning a ride to Leh-Ladakh and Spiti. “In short I’d like to say that biking is an amazing thing. It sets you free. When you’re on your motorcycle, you leave everything behind. You don’t have wings but still you are free, you can fly” she added. 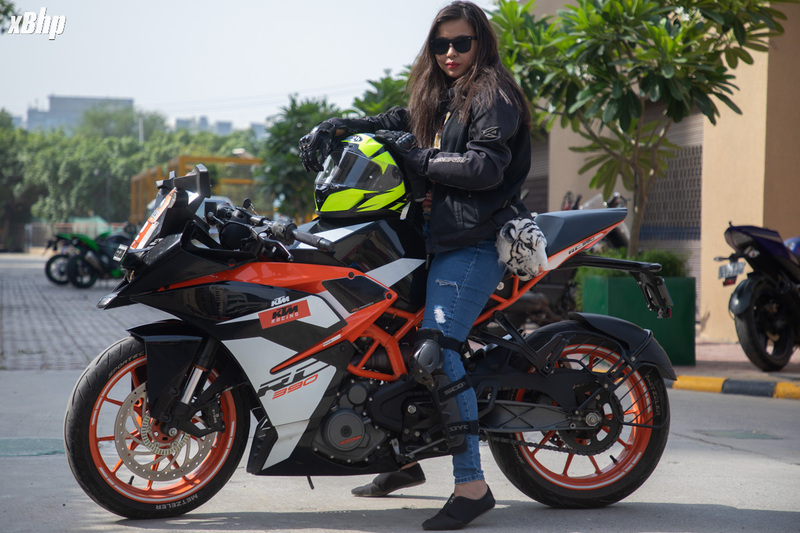 Ritika Singh, from Noida loves biking. Last year on her 26th birthday she saved money and gifted herself a motorcycle. Then she taught herself to ride. 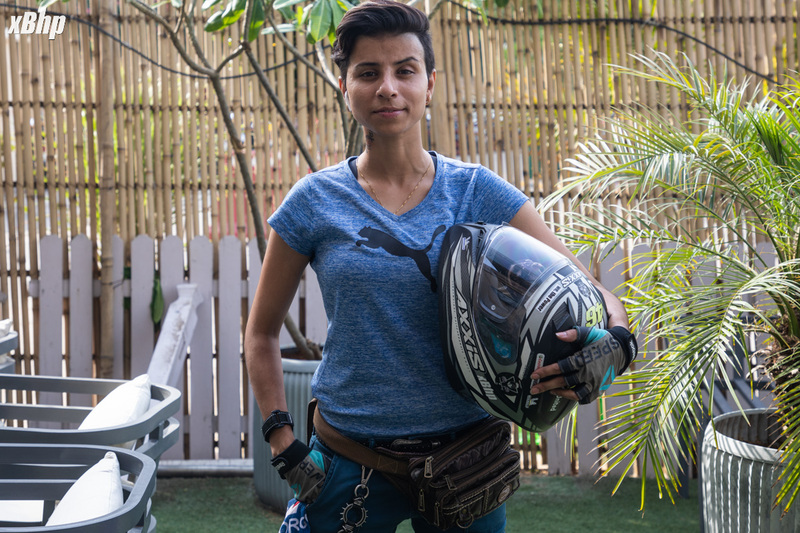 Right now she has a Yamaha FZ-S, but eventually she’d love to get a Triumph Street Triple because she likes it quite a lot and she also wants to learn more about the entire mechanics, how bikes are built and every technical aspect. She just doesn’t want to ride the bike but wants to know the machinery. And she also wants to become a stunter. So first she wants to become a skilled rider and have a strong base and then try stunting. “Biking is something which both men and women can do and society should stop making gender biases when it comes to choices like biking. So it doesn’t matter if I ride a motorcycle, or do a classical dance. I can rock a saree or rock shorts on a motorcycle as well. We have to respect the individuals and their choices too”, she added. 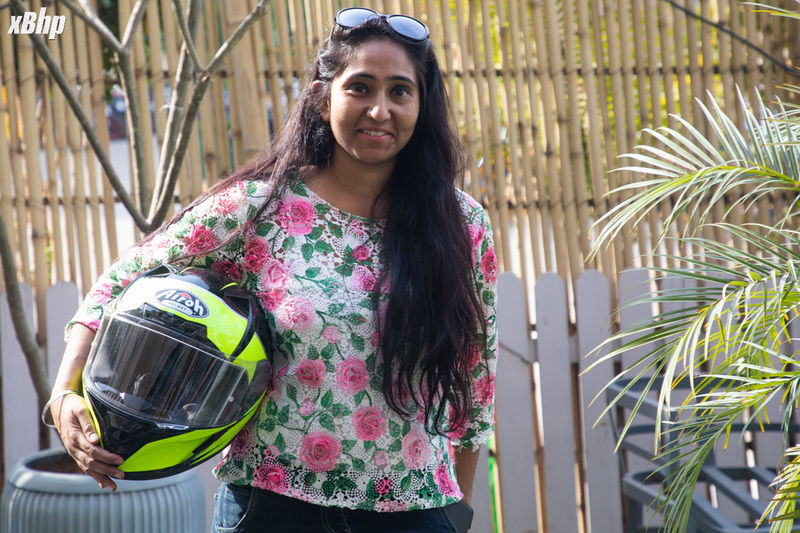 Balvinder Kaur who is also a member of WIMA loves motorcycling to the core. 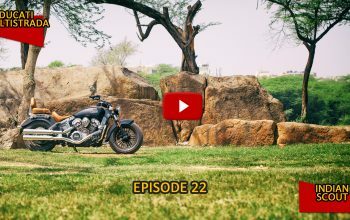 Her first love is a Bullet and she owns a Royal Enfield Classic 350. She’s been riding motorcycles for around 2 years now. She told us that she has never been on a long ride but she is in the planning phase of one. Her dream is to go to Ladakh which is very difficult but she’s more than prepared to put in the work required to prepare for it. 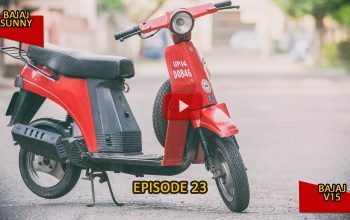 Previous article #InConversation with Rajeev Mishra, CEO, UM Lohia Two Wheelers Pvt. Ltd.